KRAKA may be in the grasp of the handicapper after winning last time out so could run well but maybe not enough to actually win the race. ZEBULON timewise not in my top 4 but races prominently and has a chance to go well again after winning its last race but this is its course debut. CHICKENFORTEA is the only known front runner but has poor aw form and maybe a slower surface may suit it better. POETIC PRINCIPLE is a 6 times raced maiden and has looked as though this distance stretches its stamina so not for me. WENSLEY hasn't any previous aw form and another that looks as though a slower surface would be better for it. BOND STREET BEAU its best Kempton time would leave it outside my top 4 so would need to improve on this surface and I cannot discard it completely. MY SOCIETY hasn't any form on this surface but its best time from Kempton isn't quite enough to make the frame and may need a longer trip. 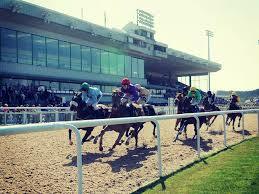 MANSFIELD is 0-15 on aw tracks but races as though further would suit it better and is on a long losing run. MOTHER OF DRAGONS comes out 3rd best on a time from this year but doesn't want a fast early pace so this race might be run to suit it and could possibly make the frame. SKYVA comes out 4th top on my unique speed figures using a 2018 time but has run just a few pounds below that this year so could go well. NEW RICH has the plum draw in stall 1 and is my 2nd top rated but its apprentices claim takes it to top spot so has to be considered as the winner. SUMMARY: Im struggling to narrow it down to less than 3 but here goes, I will stick my neck out, Mother Of Dragons 33/1 could be 2nd or 3rd top but the jockeys 0-72 for the family stable is off-putting so maybe not for me, New Rich 16/1 moves to top spot with the jockeys claim but the trainers 1-22 at this course is a bit of a concern, the jockey has a 9% win rate which doesn't help me much in making a decision but MYSTICAL MOON 9/1 is my original top rated and the fact the trainer has a 19% win rate in apprentice races which goes up to 22% in older horse apprentice handicaps which swings things in its favour and I will be backing it but I could have covering bets on the other 2 mentioned in the summary.